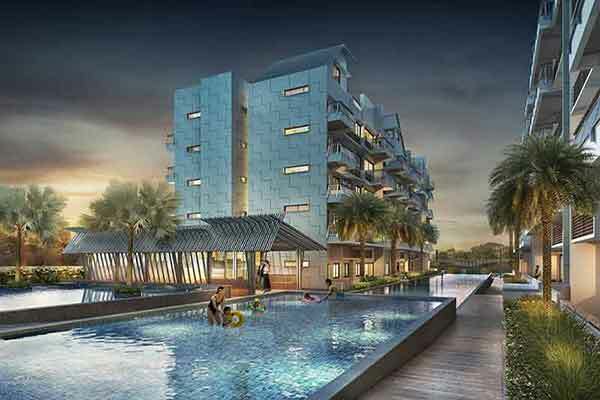 Whitehaven @ Pasir Panjang is a modern Freehold Condominium located along Pasir Panjang, Singapore District 5. Comprises of 120 stylish units and 1 shop, Whitehaven stands at 5 storey with unit mix types include 1 bedroom, 2 bedrooms, 3 bedrooms, 4 bedrooms, and penthouses. TOP expected to be in 2017. An oasis that offers continuous excellence and luxury. Relax and unwind in a calm and cool environment while enjoying the state-of-the-art facilities such as 50M lap pool, latest fitness facilities, a classy Jacuzzi, or plan a weekend party in a clubhouse with your family and close friends. 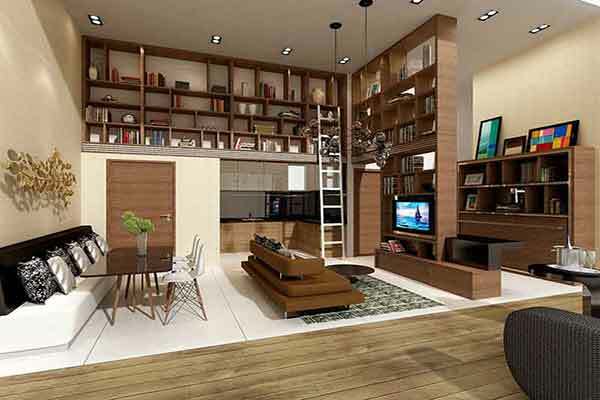 Experience a luxurious lifestyle by owning a spacious and beautiful condominium. 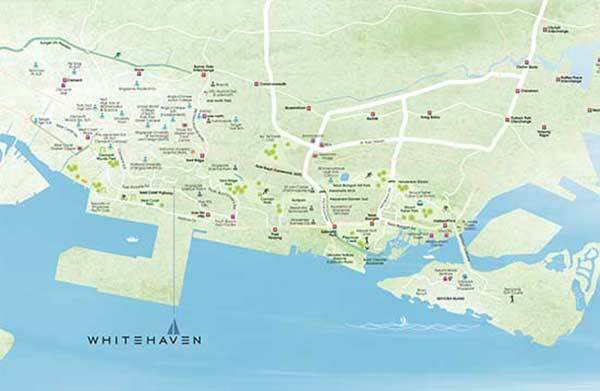 Whitehaven offers a calm and peaceful sanctuary from a busy city without overlooking citified convenience. Enclosing a remarkable land area with luxuriant landscaping, this luxurious 5 storey development elegantly established in a pleasant resort environment. Designed by renowned first-class architecture, ONG & ONG and landscape a new masterpiece is set to born. Whitehaven is fully-equipped with classy and beautiful fittings from famed GROHE that will increase class and elegance to your bathrooms. Each bathrooms are lavishly fitted with first-class sanitary wares from famous Johnson Suisse. The premium quality products ensures residents to feel the most refreshing and enjoyable bathroom experience. Also, it is fitted with branded and stylish kitchen appliances from Ariston. Whitehaven let you experience true luxury in the heart of the city, it allows you to feel at home while you’re in paradise. Families with school-going children will be happy to find much aspiring schools such as Methodist Primary and Secondary School, Kent Ridge Secondary School, ITE, Anglo Chinese Junior College, Singapore University of Technology and Design, National University of Singapore, Japanese Supplementary School, Tanglin Trust School, and many more. Experience a luxurious resort living that combines with the beauty of nature that will pamper all family members only at Whitehaven! You are within short distance away of everything that Whitehaven has to offer. A short walk to MRT stations include One North MRT, Kent Ridge MRT, and Haw Par Villas MRT. It is also close proximity to major expressways and roads such as Central Expressway (CTE), Ayer Rajah Expressway (AYE), and West Coast Highway. A wide array of shopping malls such as Queensway Shopping Centre, Clementi Shopping Centre, Holland Shopping Centre, and West Coast Plaza are just a short drive away from your home. It is also nearby to some grocery stores and supermarkets like NTUC Fairprice, Market Place, and Cold Storage. If you love to hike in nature, Clementi Woods Park and Kent Ridge Park are right at your doorsteps. *Whitehaven VVIP Preview is available strictly by Appointment. Showflat opening hours may varies. For opening hours, do call our Sales Hotline at 6100 0877 or register below for your VVIP Preview.